Join your fellow attendees and NBOA staff Tuesday morning, March 5, for an invigorating run or walk around the Marina with views of the San Diego Bay. Enjoy the beautiful weather, stay in shape and get re-energized before starting the day's programming. Or, get on your mat and have a 45-minute yoga practice. 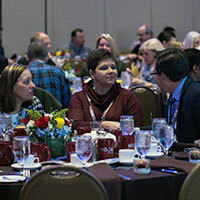 Join your colleagues for this special event Wednesday, March 6 that features a keynote address from guest speaker, Kevin Carroll as well as an NBOA update from president and CEO, Jeff Shields, and board chair, Tracey Fudge. The chief business officer of each school is invited to attend or may send one representative in his or her place if unavailable. Words Alive proudly serves 5,500 students and families monthly through the support of a cadre of volunteers. Through Family Literacy, Pre-K - 3rd grade Read-Aloud, and Teen Programs, volunteers help students connect with the joy of reading while developing cognitive and verbal skills. Stop by the Words Alive table in the Marriot Grand Ballroom Lobby to learn more. Click here to donate. Four local independent schools will open their doors on Tuesday morning, March 5, for a tour of their campuses. Learn about these schools' innovative approaches to sustainability, facilities design and community relationships. The Gillispie School community is devoted to educational excellence for 273 children in preschool through sixth grade. 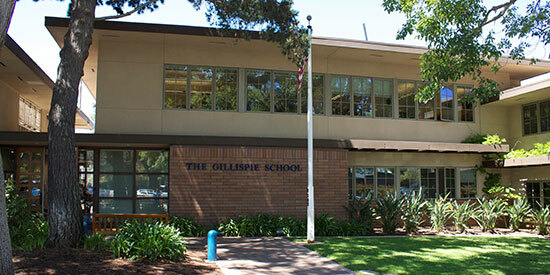 Gillispie is a coeducational, independent school situated on over 2 acres in the village of La Jolla, CA. Our program serves as a springboard for children’s love of learning, creativity, and readiness for the future. We value a nurturing environment that fosters kindness, respect, and individual commitment to the larger world. The school is embarking on an enhancement and expansion project that will transform the quality of the student experience. The new spaces we are adding will be places in which learning is done in collaboration – where students become teachers and teachers become students. We are developing our campus with an eye towards flexibility of use. The outdoor play space for our preschool students was designed to support our Reggio-inspired program. This outdoor classroom has been thoughtfully designed to support hands on learning for our youngest students. There are places for children to dig, build, perform and create. For nearly 100 years, La Jolla Country Day School (LJCDS) has honored and nurtured the goal of founder Louise C. Balmer to prepare children to be leaders in the community. 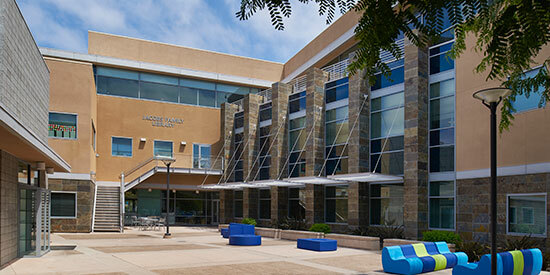 LJCDS stands on a 24-acre campus in San Diego serving students age 3 through Grade 12. The diverse student body of nearly 1,120 is drawn from varied communities of San Diego County, the United States and the world. LJCDS’s 227 faculty and staff members are committed to inspiring greatness for a better world by leading with dignity. The school’s distinct programs include its Center for Excellence in Design and Innovation, Center for Excellence in Citizenship, a speaker series and dignity education. The holistic experience prepares students for a lifetime of intellectual exploration, personal growth and social responsibility. San Diego Jewish Academy (SDJA) is a pluralistic preschool – 12th grade school serving the Jewish community, dedicated to furthering academic excellence, social responsibility, and active Jewish living. Our students are inspired to embrace creativity, innovation, and entrepreneurial thinking in their learning, while gaining a deep connection and respect for the values and insights of our dynamic Jewish tradition. By understanding students’ unique needs, talents, and passions, faculty meets students where they are academically, enabling students’ growth and success. When they graduate from SDJA, students are prepared to excel and to be leaders of integrity, social responsibility, and architects of change. 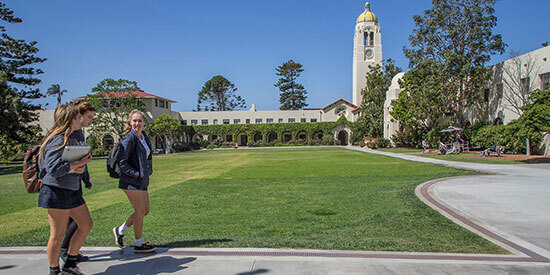 The Bishop’s School is an independent, coeducational college-preparatory day school for students in grades six through twelve who live throughout San Diego County. Founded in 1909, the School is affiliated with the Episcopal Church. The aim of a Bishop's education is to develop students who are kind, independent thinkers, of healthy mind & body; who are globally-aware citizens, problem solvers and risk takers. 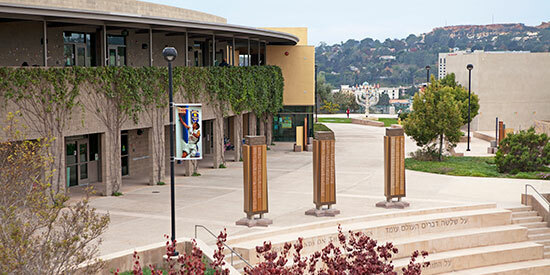 The School's 11-acre campus is situated steps from the La Jolla Cove in Southern California. The campus is a beautiful blend of historic and contemporary buildings that ring a large, central grass quadrangle. The School is proud to have historically significant buildings designed by two renowned architects of the early 1900s: Irving Gill and Carleton Monroe Winslow. The St. Mary's Chapel, Bishop Johnson Memorial Tower with its gold-tiled dome, the mature trees and landscaping, all contribute to a setting that fits the vision of the School's founder, Ellen Browning Scripps, who believed "...that the silent influences of environment play a part in the deepening and development of the mind."